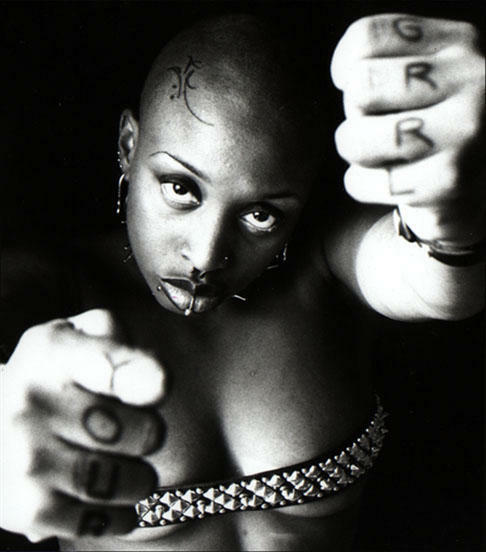 One of the first contemporary, indie #BlackWomenINRock I became intrigued with was Tamar-Kali. A featured artist in the cult classic film, Afro-Punk, she is certainly an artist who ‘can only do it one way – Nice & Rough’. She has power, depth, and swagger that is heart-wrenchingly genuine and unforgettable. I am so pleased to share this ‘5 Lbs. of Rock” with you! Enjoy…..
SHEILA: Have you always been a rock artist? I have an extremely varied palate as a listener but when I set my spirit to song it is dark, moody and often times loud and tumultuous. It’s just who I am. My art is purely an expression of my soul, not a choice for me at all. I am a 2nd generation musician. My dad played bass up until I was a toddler. I was exposed to multiple genres in the home and he taught me the basics: scales, harmony in the home from a wee lass. Growing up Catholic, my 1st real experiences with performing were as a 1st soprano singing classical choral music. It eventually branched out to playing guitar in folk group in High school and at Charismatic masses at my Parish. SHEILA: You’ve been in this businesses for some time. Do you see opportunities for black women in rock evolving? 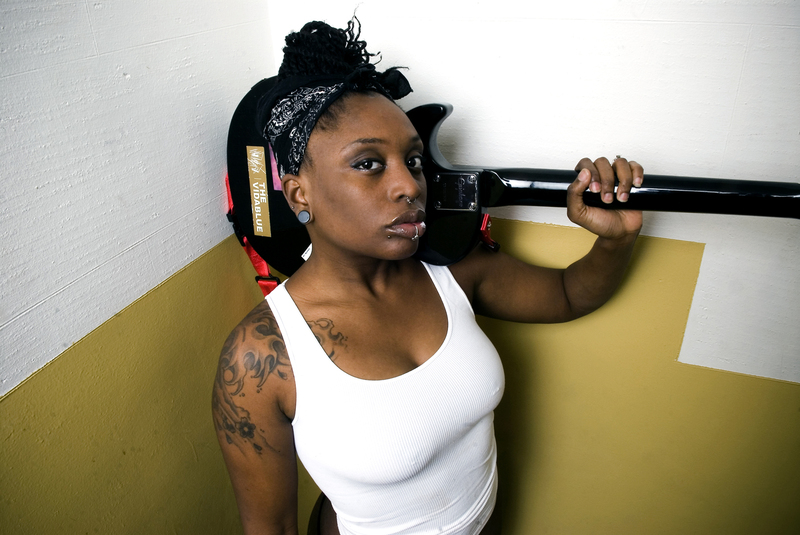 TAMAR-KALI: I see women instrumentalists and composers still challenged in the industry. I think (same as it ever was) that our path is one of our own design and that instead of being ‘forced’ to create our own way because there is no dignified alternative, which has been the pattern in the past, we need to embrace independence and not even imagine ourselves in the box of limitations the industry provides. It is essential that we utilize our artistic creativity to discover and develop our audience and create a long lasting lucrative relationship with them. That’s how we’ll survive. So many tools are accessible in the digital age, Time to dig in. SHEILA: You’ve had lots of opportunities abroad, performing for European television, the Artè Channel, etc? Is there a difference in how your music has been received abroad vs. here in the U.S.? Explain. TAMAR-KALI: It’s an old decrepit can of worms really. I feel like there is enough evidence via Miles Davis, Nina Simone, Jimi Hendrix…the list goes on. LOL! SHEILA: Tell us about The Black Bottom Revue. 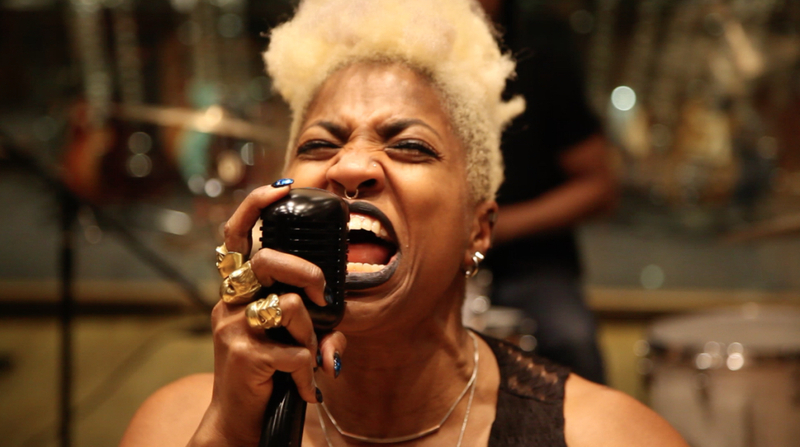 TAMAR-KALI: In 2014, I took my 5 piece band on the road. I collaborated with Burlesque artists in key cities. The inspiration for the tour was the idea of the traveling revue whether it be old vaudeville, Motown or the circus sideshow. The concept of the fringe, marginalized artistic community forging fellowship with the like-minded in other areas because we ARE everywhere. I have quite a few colleagues in the Burlesque community and as a lover of movement this particular type of expression works really well in the context of a rock show. SHEILA: What is your backstage ritual? TAMAR-KALI: Shimmies. I lead a pseudo secret life as a ‘bellydancer’. Before and after circling up with the band I do a series of shimmies to get the blood flowing.